When it comes to candles, many people instantly think of a particular type of scent: feminine, cloying, and sickly sweet. 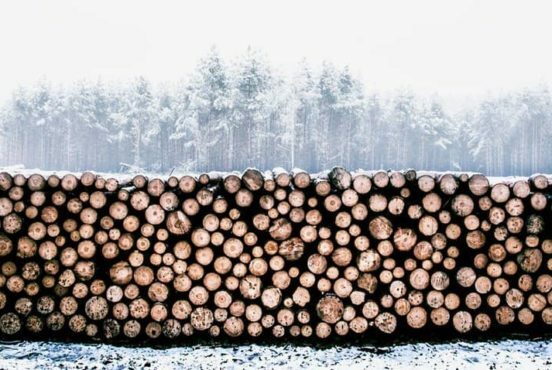 But with some digging you can find candles of the manlier variety — reminiscent of your favorite outdoor activities and adding cozier atmosphere to your home, especially on days when it’s just too cold or wet to leave the house. Candles are scientifically proven to help you feel more relaxed, which in turn leads to better sleep and more energy. In a nutshell, scented candles are a good thing to have around. Here are sixteen of the best candles for men who want subtle, often-outdoor inspired scents in their homes. 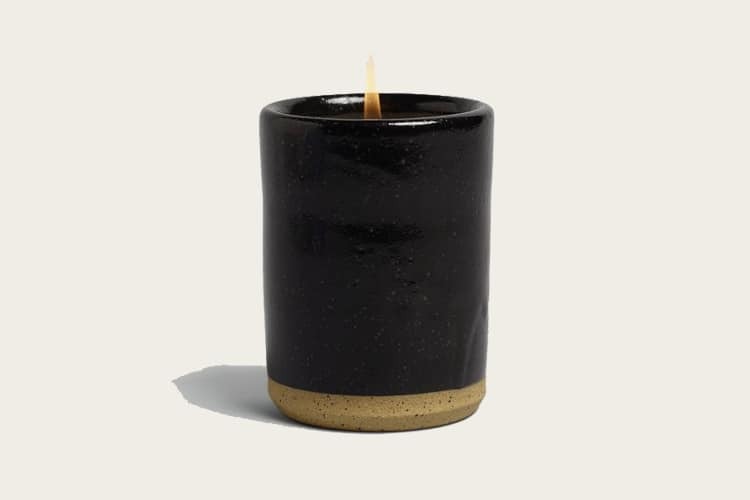 This sleek black candle is made of premium paraffin wax —a petroleum by-product, often used for candle making — and soy wax — a type of vegetable wax. 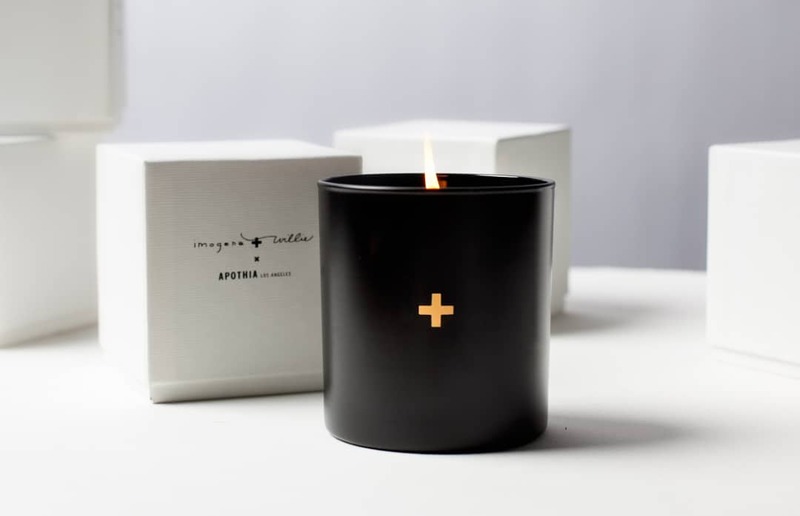 Imogene + willie collaborated with Ron Robinson, an industry leader with his own line of candles and other home goods, to create the Apothia candle. 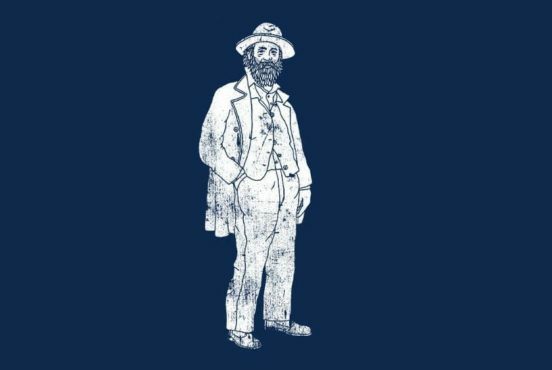 Imogene + willie, a Nashville-based company specializing in jeans and home goods, describes the scent of their apothia candle as “home,” saying “we are so thrilled to pass the scent of our home on to yours.” Specific scents included in the candle: African ginger, rich mahogany, deep taboti wood, and grains of paradise. The company offers a 30 day return policy in case the scent doesn’t mesh with your taste. DS & Durga sells perfume and candles, and their 85 Diesel candle is a popular one. The company describes the candle as having three “layers” of scent. The most prominent layer (“heart notes”) is made up of scents such as saffron leather and suede — the second layer consists of more flowery scents like white violet and hiba (a Japanese fern) — and the third (“base notes”) is diesel smoke, earth dirt, and galbanum resin (a gum resin from Iran that smells woody and almost like balsam). 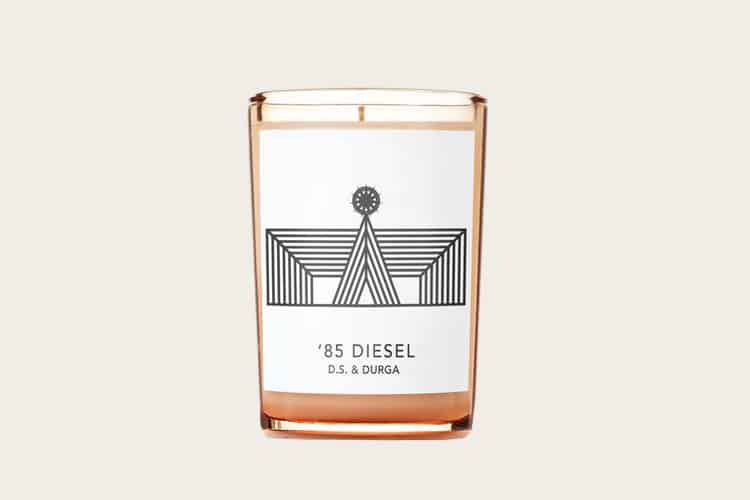 The 85 Diesel is a sleek, aesthetically pleasing candle with gritty and strong undertones. 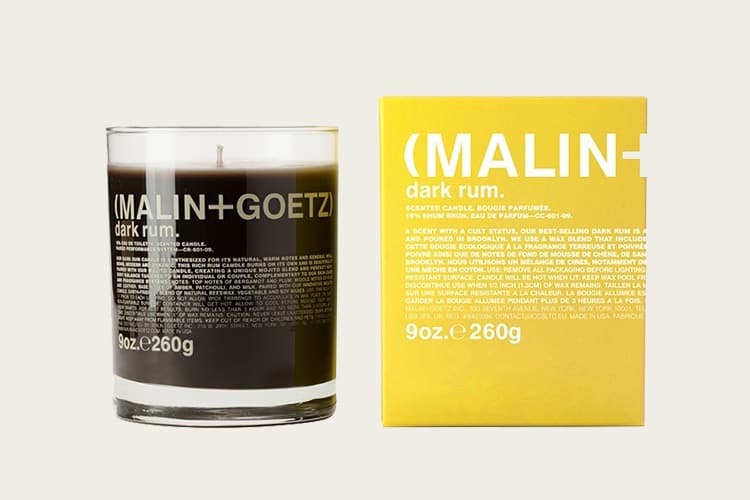 A little cheaper than previous options, Malin + Goetz’s handmakes their Dark Rum Candle in Brooklyn. Bergamot and plum make up the primary scents, mixed with hints of leather, rum, and a little vanilla. Burning the dark rum candle with the company’s mojito candle can produce a “signature cocktail,” the company says. The dark rum candle will burn for up to 60 hours. The glass is reusable — use it as a stylish drinking glass. The company also suggests only purchasing candles during the winter so products don’t melt in transit. Described as “an ode to the American spirit,” this candle from Sydney Hale Co. executes a delicious mix of sugarcane and charred double oaked bourbon. This candle only ships in the USA, and you can expect it to burn for around 50 hours. Sydney Hale is a Virginia-based company with a conscience: packaging materials are eco-friendly, and 10% of all profits support animal rescue organizations. The reasonably priced Bourbon and Brown Sugar candle features a double wick and can set the mood for any occasion. 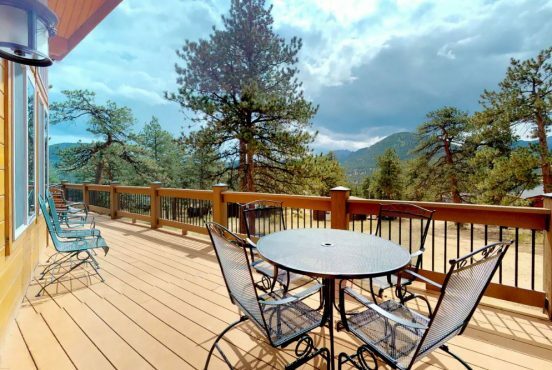 Do you love to sit by the campfire on starry evenings? Burn this candle on a rainy day to produce that same warm fuzzy feeling. 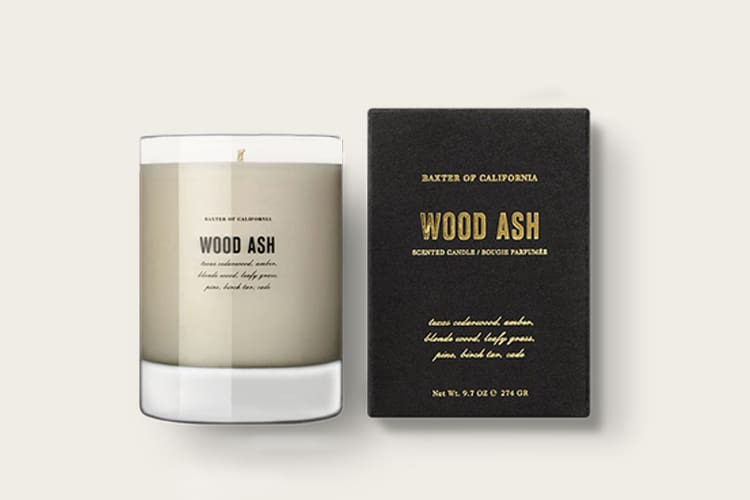 The Wood Ash scent combines cedar, pine, sandalwood, and smoky ash to mimic the scent of a campfire. It should burn for around 80 hours, and the candle is 9.7 ounces — an average size at an average price point. The Norden Oresund is unique. Not only does the candle have a wonderful fragrance — the mixture of balsam fir, grapefruit, and ambrette seed is described to smell like crackling wood fire, pine needles, and bright piny citrus — the company also put extra thought into the container the candle comes in. The Norden Oresund comes in a hand-thrown stoneware with a black speckle glaze. 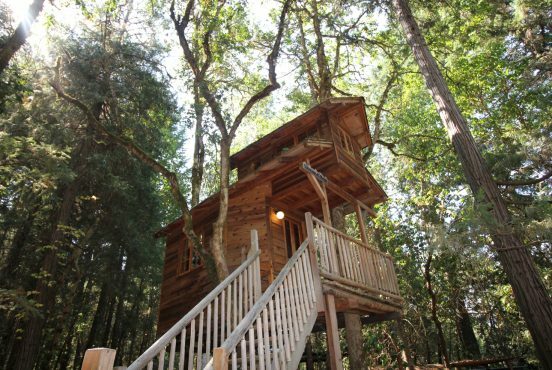 It’s sturdy, rustic, and reusable. 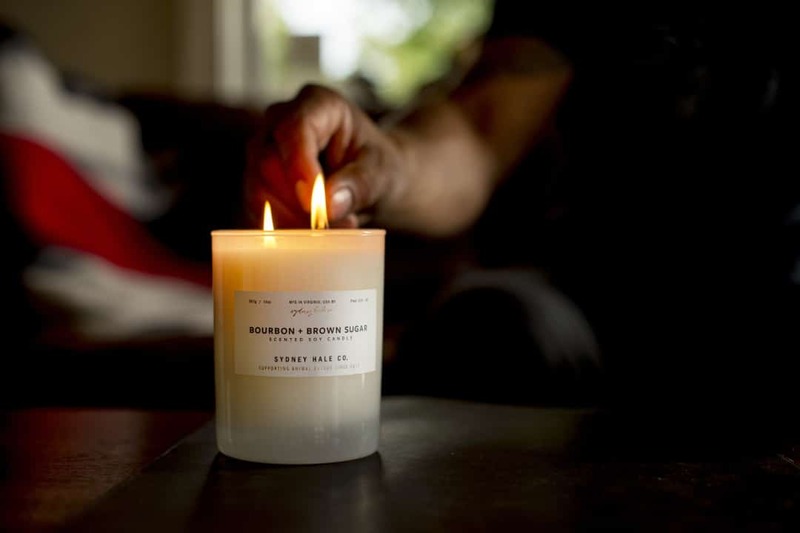 With a nice, long 80 hour burn time, Norden hand-pours this candle in their home turf of Southern California. 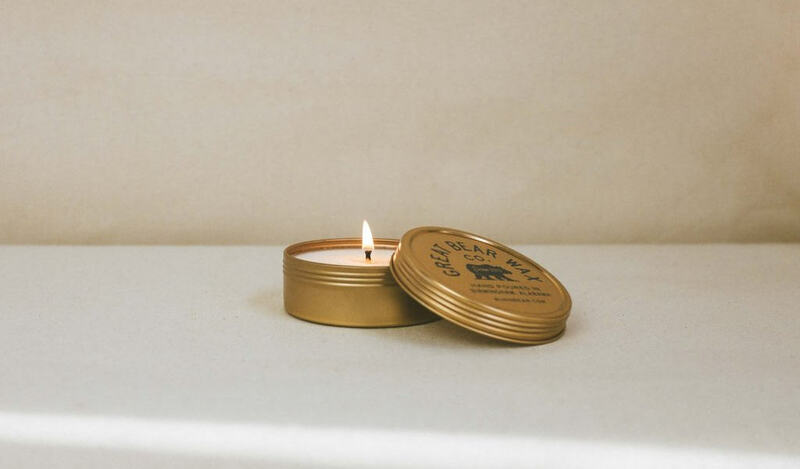 If you’ve experienced the epicness that is Yosemite Valley — especially from the Tunnel View — you’ll understand why Good + Well Supply’s Yosemite candle made the list. It captures the national park’s essence in a bouquet of amber, cedarwood, orange and spices that reminds one of open air and stunning landscapes. 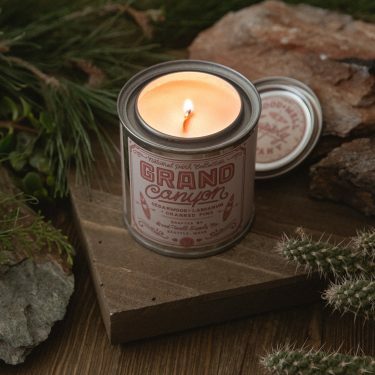 Fans of other parks can find plenty of other options in the company’s National Park collection, including candles inspired by the Grand Canyon, the Great Smokies and other iconic American places. Stressed out? 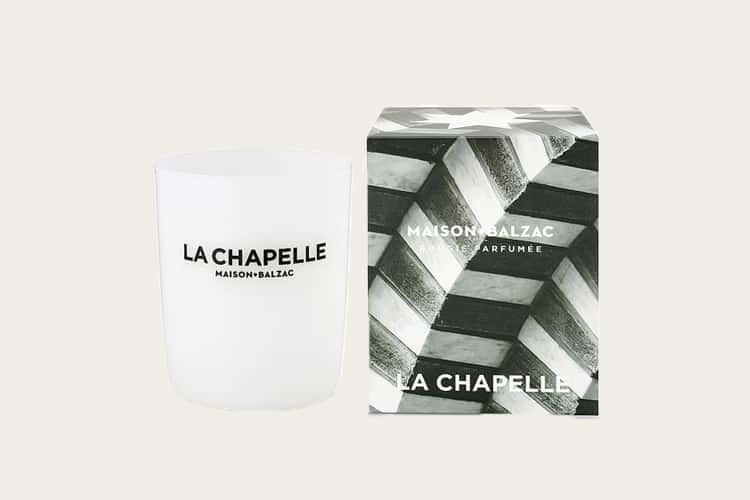 La Chapelle is the candle for you. There’s a story behind it: founder Elise Pioch describes the candle as “an ode to the small church home that I recently sold in Australia to pursue a new life in France.” For her, the candle represents a beautiful and sacred place where memories were made. La Chapelle features two cotton wicks and a 70-hour burn time. Ingredients include incense, myrrh, and Mediterranean Cistus —a flowering plant commonly made into an essential oil. The price point matches most of the other candles on this list. 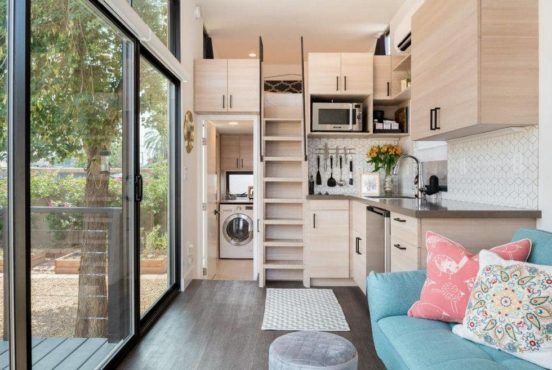 But if it’s too much for you, Maison Balzac uses Afterpay to let you make four interest-free payments, one every two weeks. 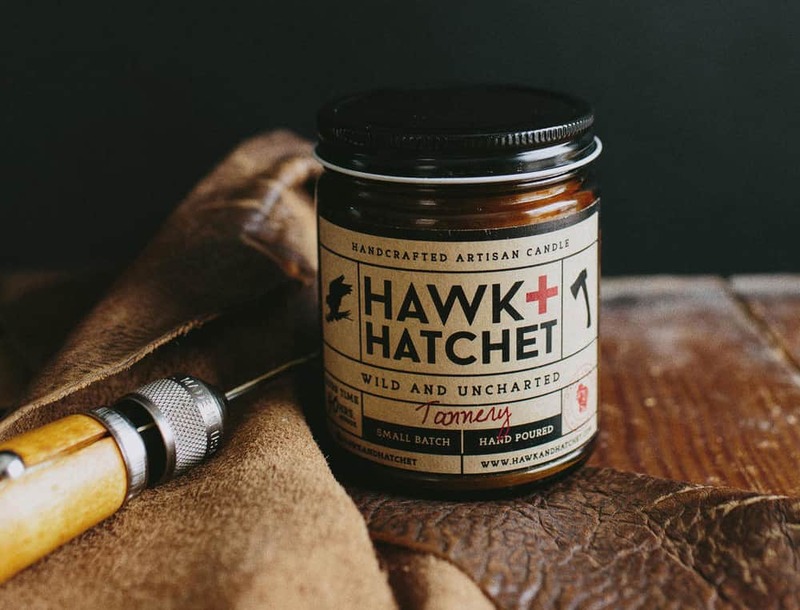 Like all of Hawk + Hatchet’s products, this handcrafted artisan candle is made to celebrate the wild and uncharted. 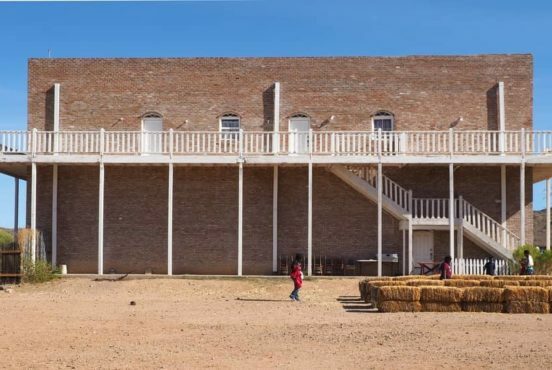 The term “tannery” refers to the workshop of a tanner — think new work gloves or a new riding jacket, Hawk and Hatchet’s website advises. At eight ounces, this candle is just a little smaller than other candles on this list, but costs far less. Basik’s Mediterranean Fig Tree candle carries hints of sandalwood, patchouli, fig, and citrus. 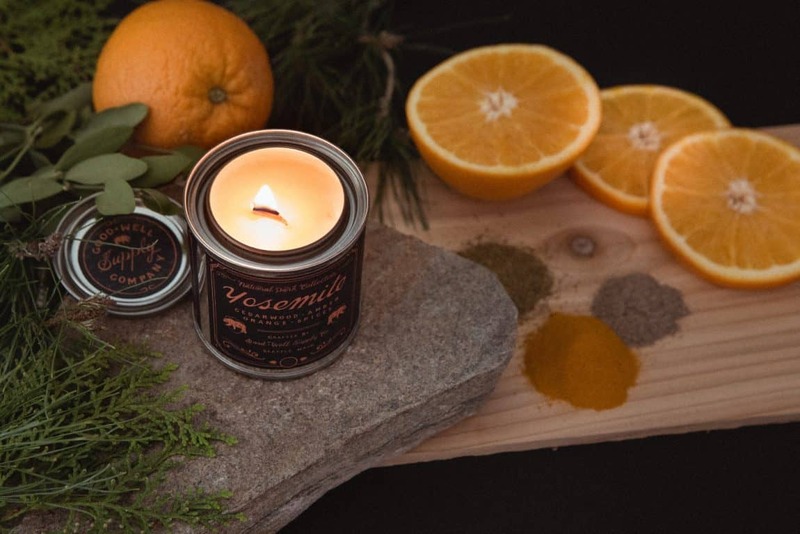 The candle is also infused with grapefruit, orange, and lemon essential oils — citrus essential oils have a plethora of benefits, from killing germs to supporting your immune system. Choose between a six ounce or 13 ounce candle. While there’s a $10 price difference, both candles have the same expected burn time (35-40 hours). 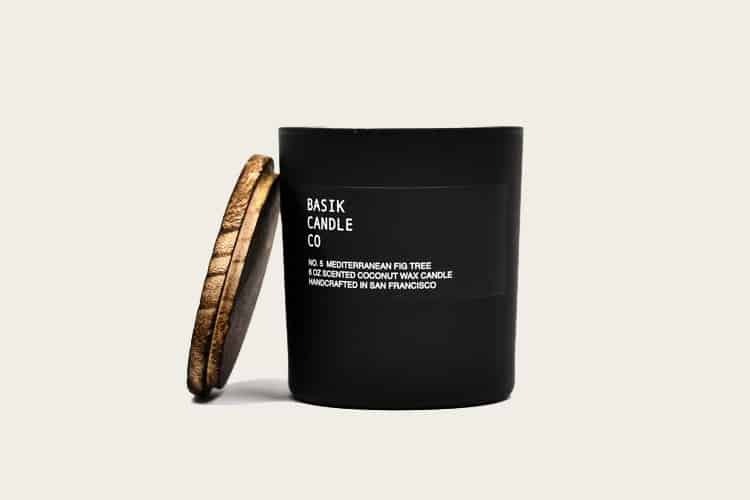 Basik Candle Co makes handcrafted candles in San Francisco with a unisex scent, skin-safe fragrance oils, and a coconut wax blend that’s both good for the planet and safe to burn indoors. The Mediterranean Fig Tree is fresh, modern, and sophisticated. 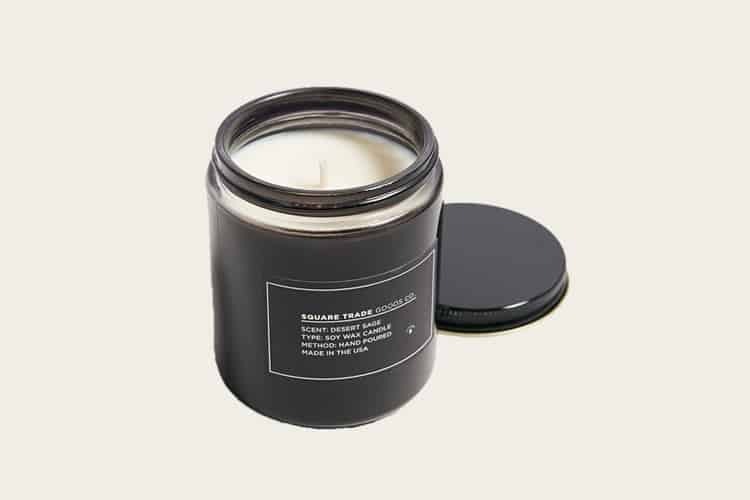 The Hudson Valley-based Night Space creates aesthetic, minimalist candles, picking scents that appeal to both men and women. The hand-poured Bronze candle smells of sugarcane, leather, and cedar leaf. It’s 15 ounces and lasts for 90 hours. Its scent is “warm and leathery;” the candle is made completely of pure soy wax, which is a renewable material and adds more hours to the candle’s burning time. Night Space suggests using the Bronze candle in a living room or den. Hand-poured in Richmond, Virginia, the Desert Sage candle will fill your home with a green, earthy scent. The eight ounce candle is made of soy wax, provides a 55 hour burn time, and won’t cost you a bundle. 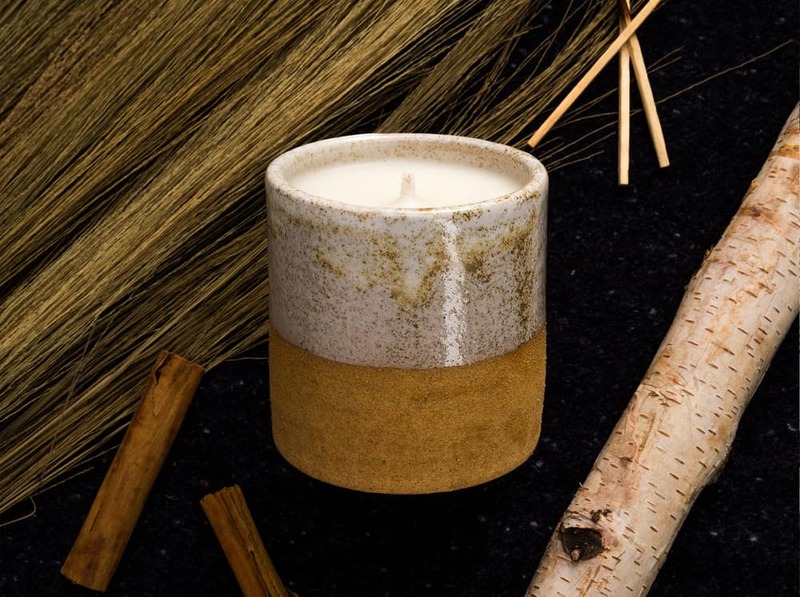 The Square Trade Goods brand creates candles in-house with all-natural ingredients. 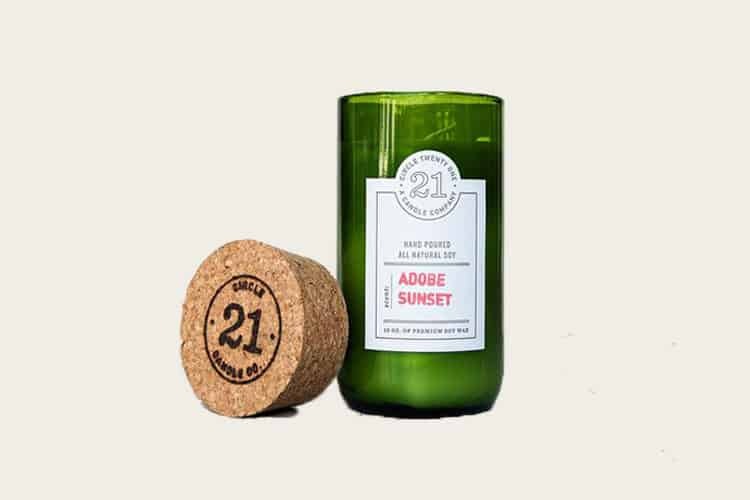 We bet you’ve never seen this before: the Adobe Sunset candle is hand-poured into a recycled wine bottle. You have a choice between two container colors: green or clear The scent of orange zest and fresh greens sits on top of sandalwood and soft musk. At a low price point, this candle is a great value. 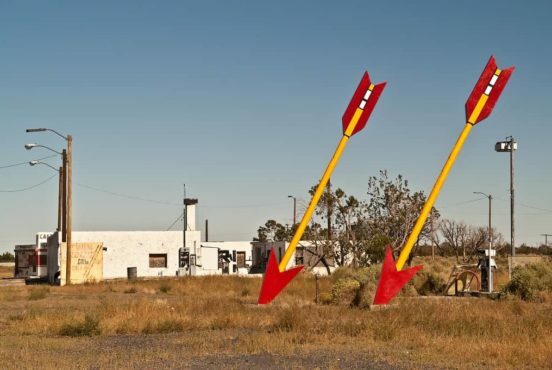 Circle 21 is named after a Texas family ranch known as 21. All Circle 21 candles are made with 100% premium soy wax and high-quality fragrance oils. 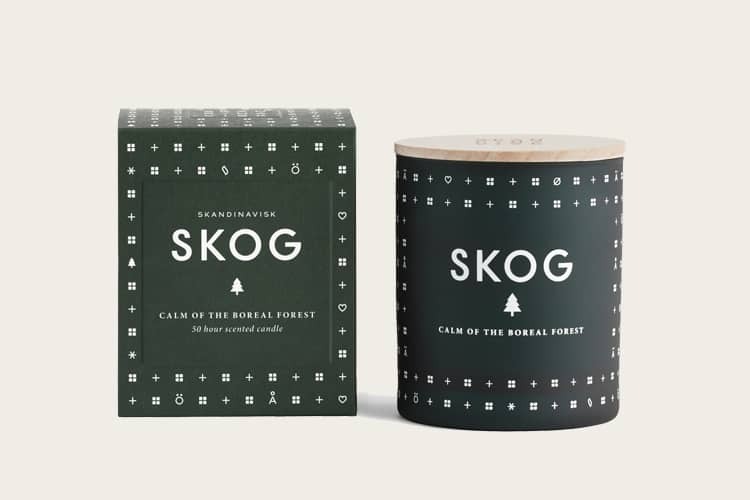 SKOG is the Danish word for “forest,” and it sums up this candle’s scent pretty well: pine, fir, aged leather, and woodland lily of the valley come together to remind you of the boreal forests covering half of Scandinavia. Designed in Denmark, this candle is made from a blend of perfume and vegetable wax; the company estimates a 50-hour burn time. The candle is hand-poured into a beautiful painted glass votive with an engraved beechwood lid. Cie Luxe Brands, LLC makes soap, candles, and diffusers inspired by the owners’ travels across the Nordic region. The June Lake candle is inspired by the cozy cabins and colorful aspen trees surrounding June Lake in California. At just six ounces with a 40 hour burn time, this little coconut wax candle is perfect for a winter day and carries hints of birch, holiday spice, and bergamot. 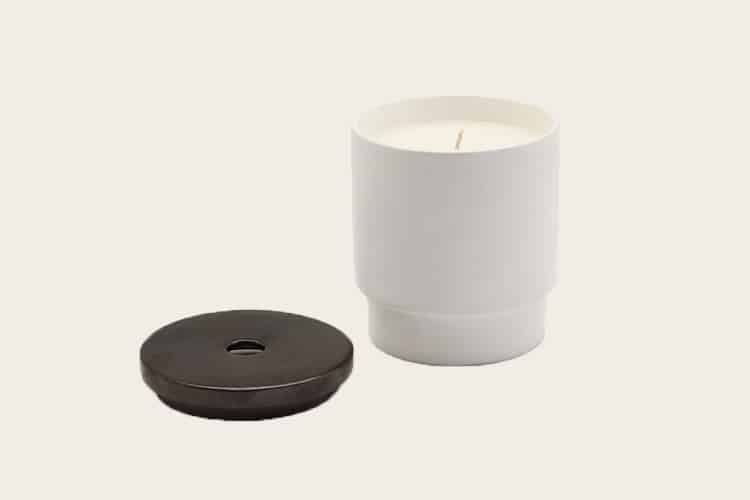 The June Lake candle comes in an easy-to-repurpose high-fire ceramic textured stoneware. 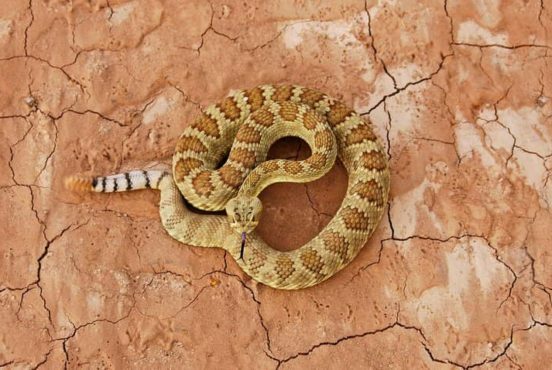 Uzumati Ceramics makes a variety of ceramic products with a passion for protecting the natural world. This small (four ounce), flat candle is the cheapest choice on this list and the only one with the smell of the sea. If you find rest by the ocean, you’ll appreciate the scent of the coast offered by this candle. With a burn time of 18 hours, the Sea Salt candle smells of agave, citrus zest, sea kelp, sea salt, sandalwood, and driftwood. Great Bear Wax Company makes hand-poured candles in small batches from Birmingham, Alabama. The company has been featured in Vogue, Southern Living, and Conde Nast Traveler. Upstate Stock, located in Brooklyn, is on a mission to show people that American manufacturing of the highest quality still exists. 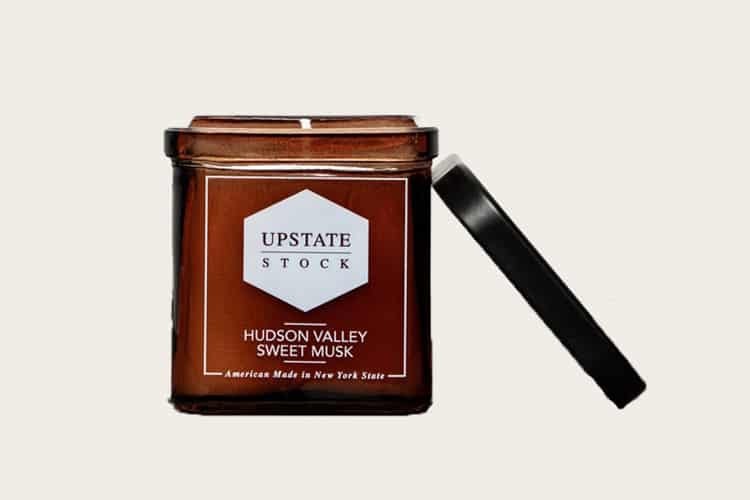 Its Hudson Valley Sweet Musk Coconut Wax Candle comes in a unique square-shaped container — it has a fragrance oil musk base with cedarwood essential oil. All fragrance oils used in the candle are phthalate free (phthalates, which come from acid, can potentially cause health problems). The candle is eight ounces and will burn for 50 hours. For more outdoorsy scents, check out our favorite outdoor-inspired candles.